True American Classics, Inc. and its parent company have been entertaining children of all ages since 1998! 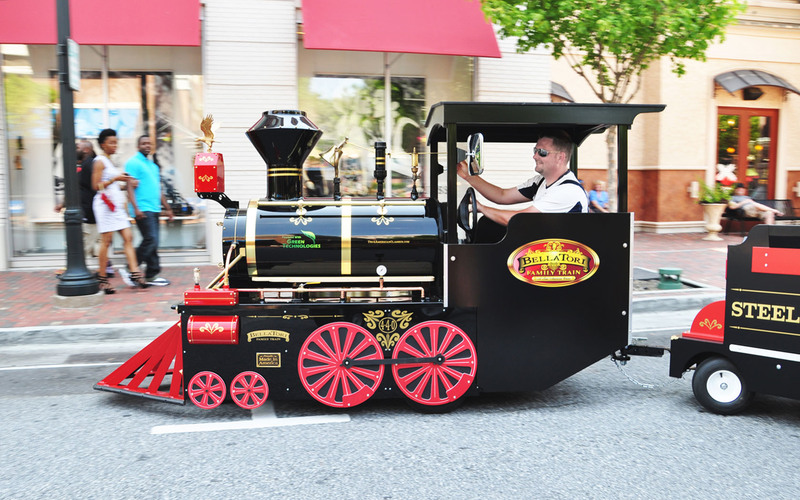 Headquartered in Atlanta, GA, True American Classics, Inc. sells its world class BellaTori train all over the world! The train is named after the owner’s beautiful daughters Isabella and Victoria, and its style is homage to the once opulent era of the Steam Train Locomotive – the American 4-4-0! Manufactured entirely in the USA and built with pride by American craftsmen. True American classics is dedicated to the pursuit of creating rolling pieces of Art! Simple is more. Our focus is on producing good quality products at an honest and generous price, so that you, the entrepreneur, may achieve the highest RETURN ON INVESTMENT. We build a turnkey system for your financial independence. We strive to make an authentic looking trackless train and to help create the best enter“train”ment experience for all patrons! Our mission is to invent children’s entertainment products that recreate the historic nostalgia of Americana and reflect the history of this great nation, the United States of America! Please fill out the contact form and one of our representative will get in touch with you. Inspired by the past...built for your future!